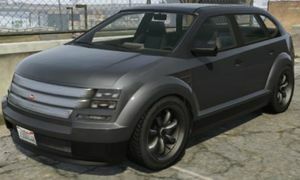 The Vapid Radius is a four-door crossover SUV in Grand Theft Auto V based on the 2011-2014 Ford Edge. The Radius features a rear-wheel drive layout, unlike its real-life counterpart which is front-wheel drive. This page was last modified on 18 October 2013, at 22:52.